Following up with our Colombian Artists series at THE ART REFERENCE now we present Edgar Negret. 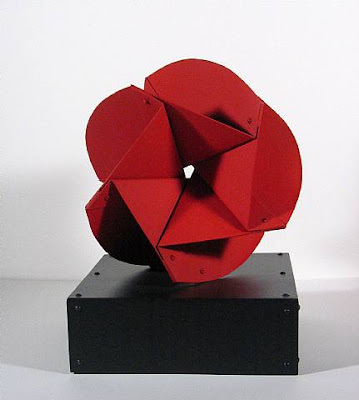 Edgar Negret (born 11 October 1920 Popayán, Colombia) is a modern Latin American abstract sculptor. He attended the School of Fine Arts in Cali, Colombia. Initially working in stone in styles reminiscent of European modernists like Jean Arp and Constantin Brâncuşi; by the early 1950s, he began working in metal in constructivist tradition. 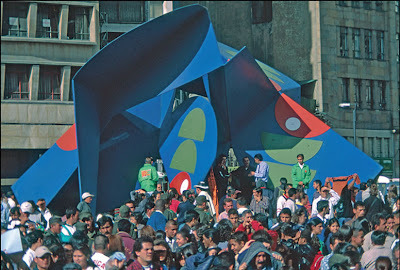 In 1955, his art was acquired by the Museum of Modern Art.In 1963, he won the Salón de Artistas Colombianos, and therefore becoming one of the most prominent Colombian sculptors of the 20th century. In 1968, he was awarded the David E. Bright Sculpture Prize, at the Thirty-fourth Venice Biennial. 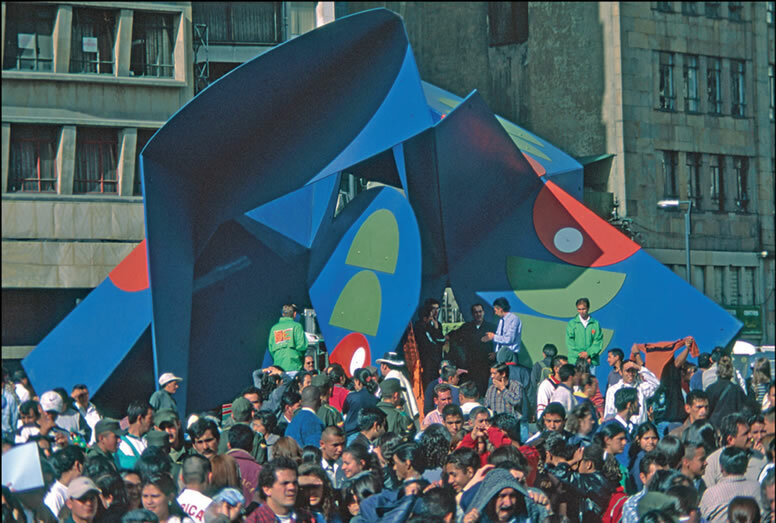 In 1985, the Museum Negret opened. In 2010, he was awarded “Grado de Oficial” by order of the Congress of Colombia. 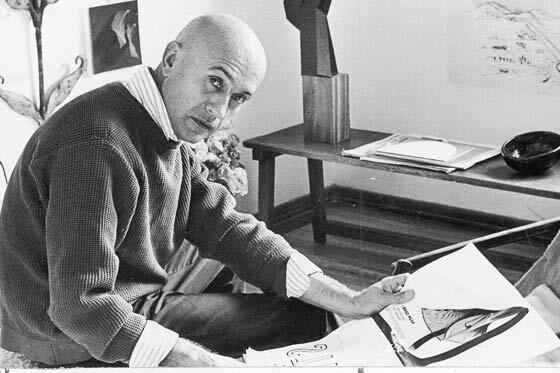 Edgar Negret was born in Popayán in 1920, the same year as both Obregón and Grau, with whose careers his own provides a fascinating contrast. By age eighteen he was attending the School of Fine Arts in Cali, in the southwestern part of the country. 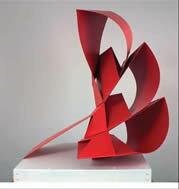 In 1948, while home in Popayán, he met the Spanish sculptor Jorge de Oteiza, who decisively influenced his early work. In 1950, following a stay in Manhattan, Negret went off to Europe, residing for short periods first in Barcelona and then in Mallorca and Paris. While living in New York, Negret came to know such United States artists as Louise Nevelson, Jack Youngerman and Ellsworth Kelly. By 1955 his prestige was on the ascendant. 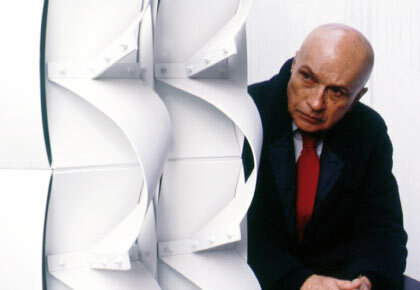 Among the exhibitions in which he participated was "New Acquisitions," at New York's Museum of Modern Art. 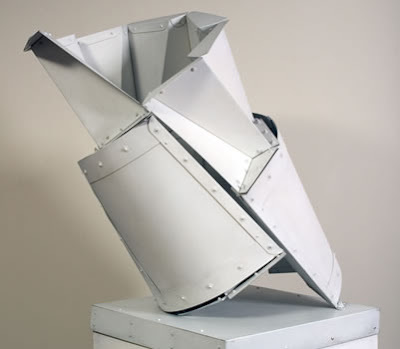 An excellent example of his work of this period is provided by the series of "Magic Apparatuses," presented at the 1957 São Paulo Biennial and in Bogotá the following year. [In the present exhibit, Map belongs to this series, while Space Navigator andMetallic Tower are later works.] 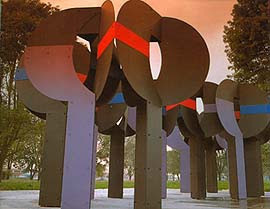 Negret received worldwide public recognition in 1968, when his work was awarded the David E. Bright international prize for sculpture at the Thirty-fourth Venice Biennial. Negret's work abounds in allusions to post-war technology. Their precise, blade-like edges are tempered by intelligent handling, which causes us to question the relevance of our present concerns and our anxieties with regard to the future. As objects, his sculptures lead us likewise to question the roles that other objects play, both in our own lives and in our communities, like it or not. This attitude of questioning has led both Negret and Ramírez Villamizar ­ although they have taken opposite directions ­ to investigate ancient artifacts. From them the two sculptors have extracted elements of poetry and mystery that impart a timeless quality to their compositions. Negret's sculptures are like magic vessels within which a genie lies hidden. By touching them with the imagination, one can impart other qualities to their mechanical coldness and functionality. These works remind us that we cannot escape the impersonality of mass production and the homogenization of daily life and must find some means of harmonious adaptation. THE BIG FIVE Artists from Colombia remains. R. Villamizar, Enrique Grau and A. Obregon will come soon! Graffittis in Rio de Janeiro - A Weekend Walk!